As a new ‘face’ on the Atlassian News Blog, I should probably introduce myself. I recently started working at Atlassian as a Business Analyst, charged with ensuring that our internal systems continue to provide legendary service to our customers. 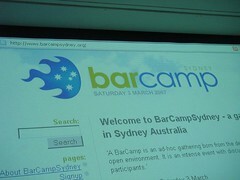 BarCamp Sydney was being held a few days before my Atlassian interview. 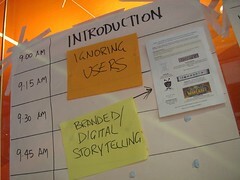 It’s a free-form conference where attendees decide their own content and present to each other. 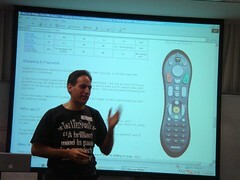 I came along to participate and present on my two favourite topics: OzTiVo and World of Warcraft (my character). As it turns out, Atlassian was a sponsor and Mike Cannon-Brookes (Atlassian CEO) came along to talk about his favorite topics — entrepreneurship and Atlassian! Needless to say, I managed to fight through the crowds to introduce myself to Mike and then sat through his presentation, which morphed into clues on how to apply for a job at Atlassian. The payoff was three days later, when I was introduced to Mike during my interview and he recognised me — hooray! I’ll admit it — I’ve got a long resumé. Truth be told, I don’t really expect people to read it all. So, I pepper it up with a few company logos. As it turned out, my interviewers immediately took to this 1-page summary of my career. Somebody even commented how this single page contains 90% of what they look for in a resumé. I think it must have helped because not long after I received a follow-up phone call that led to my job offer. And that’s how I got the job! If you’re looking for more hints about what makes a good Atlassian, take a look at Jonothan Nolan’s recent blog post.